Valentine’s Day came early. Really? Who’s going to go out on a Monday night? Like I’m sure most people did, J and I went out on Friday night instead of waiting for the actual Valentine’s Day. I’ve been holding Bold for a while now. I needed a special occasion since we’re not really fancy eating out type people. On Monday, I called to see about reservations. I was hoping for a table around 6:00. The man who answered the phone told me they had a table for 5:45. Sounded good to me so I took it. Before I hung up, the man on the other end made sure to tell me that they needed the table at 7:30 for another reservation. That was nice of him, huh? Keep the meal moving and an hour and forty five minutes is more than enough time. As the day got closer, J got really excited. We had both been looking at the menu all week coordinating our plan of attack. Bold’s location is a little odd. It’s on Q Avenue in Texas Township, but it’s also in a strip mall. The restaurant takes up a corner slot which makes it much larger than it looks from the outside. We were a little bit early so we hung in the parking lot for a little bit. A little after 5:30, we headed in expecting to wait, but the hostess told us our table was ready and she showed us to a table in the main dining room. Even though we were a party of two, we were put at a table for four. I LOVED that. The four tops were set up for two people, so we were able to spread out a little bit. There were three tables that shared a bench and we had the middle table. The table to our right was a couple with an infant enjoying an early meal and the table on the other side didn’t get seated until we were finishing up our meal so we didn’t feel cramped like we usually do at fancier places. We were both a little turned off by the fact we were sitting next to a table with a very young infant, but other than a few squeals, she was really well behaved and didn’t deter from the experience. 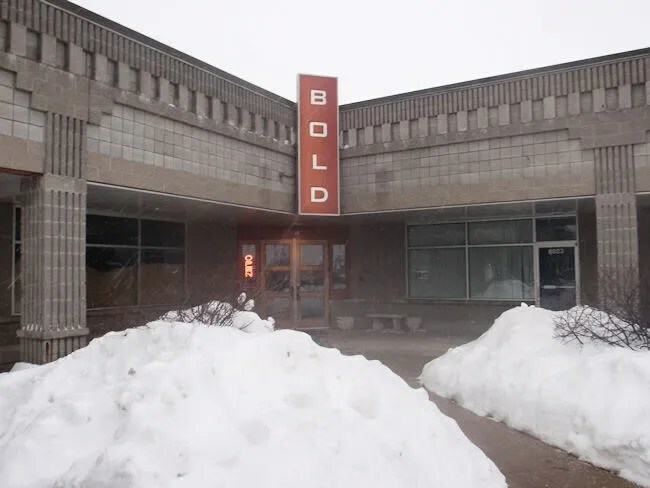 Once you take a seat inside Bold, you really don’t feel like you’re in rural Kalamazoo County and you definitely don’t feel like you’re sitting in a strip mall. The restaurant has a really warm color palate of reds and blacks. There are windows near the back of the space which really added to the ambiance on this particular day. There was a light snow falling outside and the restaurant provided a warm, almost comforting getaway from this weather. When we sat down, the drink menu was already on the table. I had asked a friend about Bold whom I knew had dined there before and the first and really only thing she said was that the wine list was awful. I don’t drink much wine, but I thought it looked alright. Honestly though, I wouldn’t know what a “good” wine list is. I asked about the two seasonal taps they had and the waitress went and checked with the bar to make sure she told me the right info. Neither really sounded a great, so I went with the Arcadia Ales Angler’s Pale Ale. J ordered a Sangria and those were the only drinks we ordered throughout dinner. We also got a couple glasses of water which helped stretch our alcohol. After we put in drink orders, the waitress took the drink menu and brought us the food menu and went over the specials as well as the layout of the menu. They do both small plates and entrees, but we already had our energy focused on the small plates. Tapas is still pretty new to us, but it’s a dining experience we both really enjoy. While looking over the menu, a basket of bread was brought out. It was a welcome sight because neither of us had eaten much all day and we were so ready to get the meal started. We decided to go with four small plates. One for me. One for J. Two for us to share. The first thing I went after was the Tenderloin of Beef. This is the most expensive small plate and I really felt bad about ordering it because I knew J wouldn’t eat it, but it just sounded so good. After a little encouraging from her, I went ahead and ordered it. I’m really glad I did. 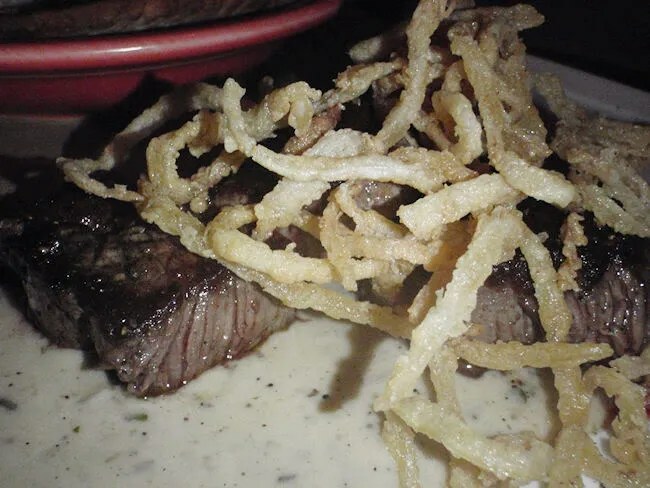 The plate is two pepper crusted beef tenderloin medallions on a whiskey peppercorn sauce with haystack onions on top. I sort of pushed the onions aside and went straight for the beef which had an amazing grilled taste and a crunchy, but not overpowering crust. The beef was so tender I could cut it with a butter knife that was left over from the bread. The first few bites I went with straight meat, but I figured I had to try the sauce. I almost never put sauce on my steak and this one was so good I didn’t need it, but it was really delicious, so I went with a light sauce on the second piece of meat. J’s choice for the plate that she was pretty much going to eat by herself was the Baked Goat Cheese. 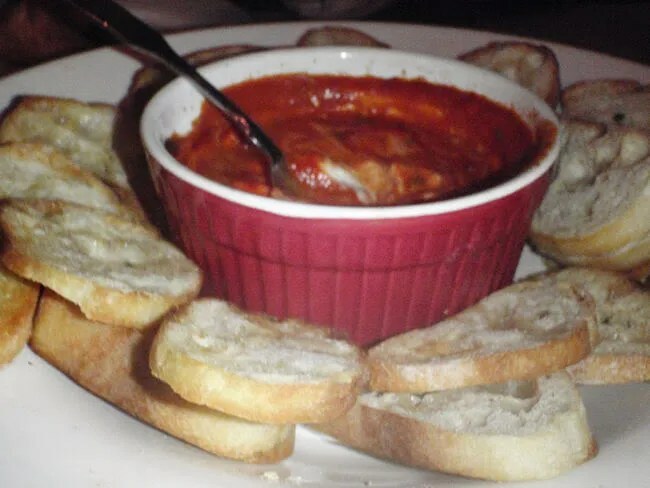 The creamy goat cheese is baked with a six pepper sauce and served with toasted baguette. She loved the dish. She really loved it. Since last summer, she compared all goat cheese creations to The Wine Loft’s Goat Cheese Crostini’s. 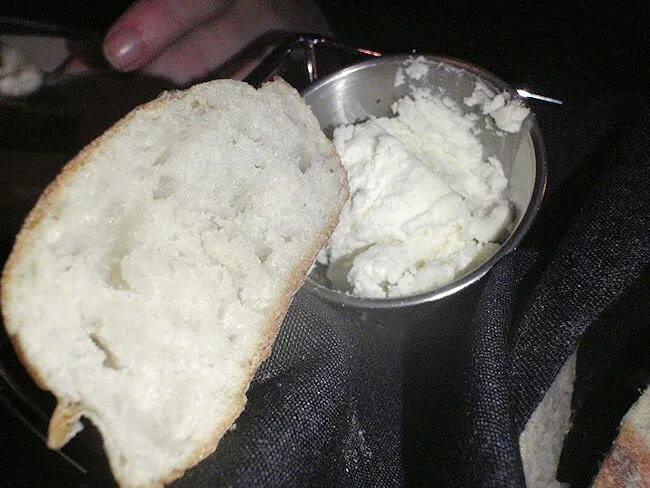 From now on, it will be Bold’s Baked Goat Cheese. I tried a couple spoonfuls on a baguette. It was good, but not really my thing. I let her have it, but even if I did want some, I don’t think she would have shared too much. In my opinion, the red pepper sauce really stood out, but J said on her palate, it was the goat cheese that won out. The first of the two shared dishes was the Sausage and Potato Flatbread. 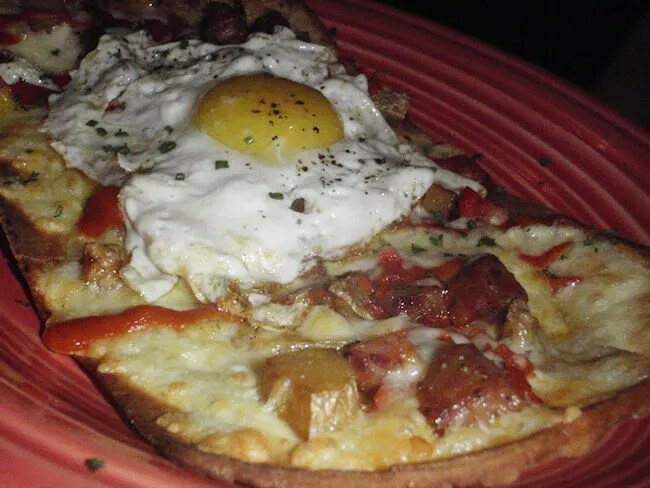 This dish was more goat cheese, andouille sausage, potatoes, peppers, monteray jack cheese, the six-pepper sauce and a fried egg on a flatbread. Another fantastic dish. J wasn’t into the fried egg, so I took the middle pieces which had the runny yolk egg on top of it. The sausage and potato on this flatbread were amazingly delicious. I usually like my potatoes to not taste like potatoes, but this time it worked because it tasted like potatoes. The goat cheese and pepper sauce worked in the background adding just a little bit of texture and heat to the bread. I wasn’t 100% sold that I would like this when we ordered, but I’m glad that J went with instead of the Risotto Fritters which was her original choice. The final plate was the Chicken Flautas. 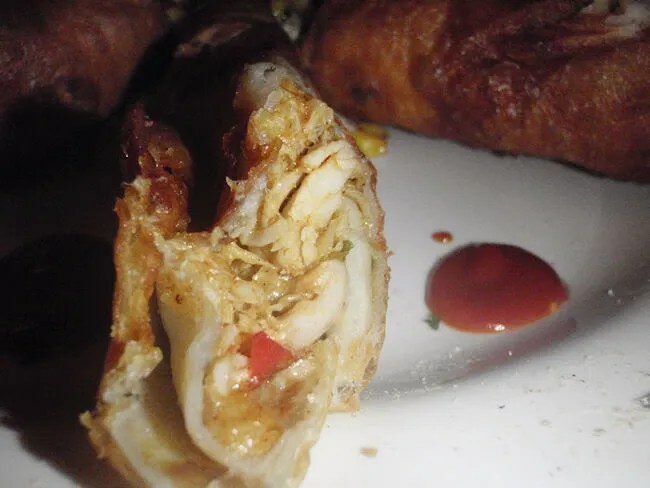 We were served six pretty large flatuas which had the texture of an egg roll. They were very crispy and the flour tortillas were very flaky. They were filled with seasoned chicken, monterey jack cheese and mixed peppers. They were served with an avocado relish, a roasted corn relish, and the same six-pepper sauce. In the order of eating, the flautas were the last thing I tried, but it was the second best plate behind the tenderloin in my mind. J grabbed one right away and really seemed to like it. The thing I really enjoyed was that they kept the flautas simple. There was only three ingredients in the tortilla so the flavor profile was simple yet incredibly delicious. …oh, and we made it out in plenty of time for the 7:30 reservation after us…. 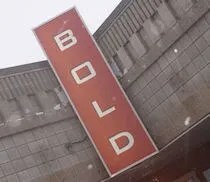 We used to love going to that location for the Main Street restaurant and were initially disappointed to see it had changed into “Bold”. I guess we will have to try it out now!